Is mysterious new video a Resident Evil 6 teaser? Back in December, a note on a voice actress’ resume kicked off a rumor that Resident Evil 6 could be set in China. Now a new, mysterious video that popped up online is adding fuel to that fire — though there’s still some question as to whether it has anything to do with Capcom’s fan-favorite game series. The video, uploaded by YouTube user TForepaugh, features a woman pleading into a camera in Mandarin (though English subtitles were later added) and explaining that there is some mysterious threat outside that she and her children are attempting to avoid. 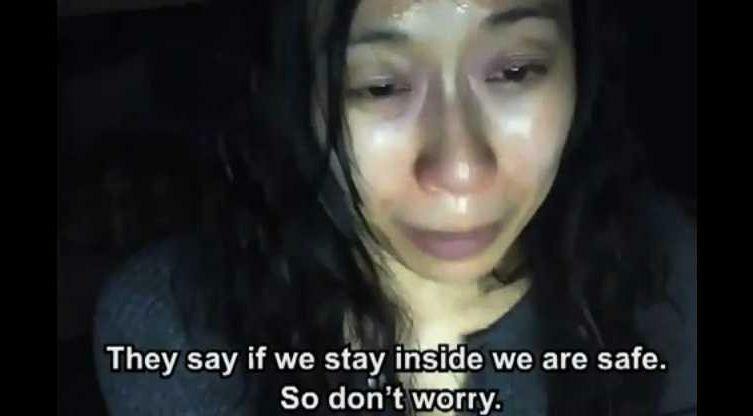 “They say if we stay inside, we are safe,” she says, only to break down crying later in the video. The teaser ends with something attempting to break down the door, and a quick flash of a mysterious symbol. The video also links to the website www.nohopeleft.com, which features the phrase “No Hope Left” scrawled over various buildings around the world, and the date January 19, 2012. Rumors are flying that the video and website are teasers for Resident Evil 6 due to the expectation that the game will be set in China (hence the Mandarin being spoken in the video), and the fact that Capcom is holding a major Resident Evil-themed event on January 19. Horror news site Rely On Horror has conducted some investigation of the video and the site it links to, but hasn’t come up with any more conclusive links to Resident Evil 6 or Capcom thus far. All we can say is that we hope is this a teaser for something and not an actual cry for help ahead of an actual zombie outbreak. That would be a real bummer.